If you look through my body of work it should come as no surprise that I like to take pictures of classic cars. Some people, however, like a more traditional way to capture an image. 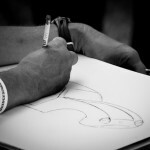 I took this shot of a person sketching a car at the 2010 Concours d’Elegance held at Meadowbrook Hall in Rochester Hills, Michigan. I wish I had the skills and patience to do some images by hand, I think it would be fun. This past weekend I attended the 2010 Meadowbrook Concours d’Elegance held at Meadowbrook Hall on the campus of Oakland University in Rochester Hills, Michigan. 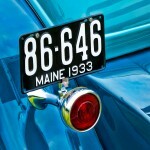 The show is never a disappointment, with a large collection of classic automobiles. 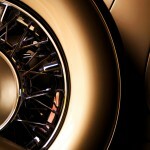 I really enjoying photographing the details of classic cars. 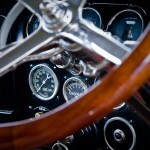 The cars, particularly of the 30’s and 40’s were a wonderful combination of art and engineering. A perfect example is shown above. 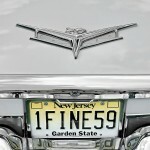 One of my favorite subjects to shoot are classic automobiles. 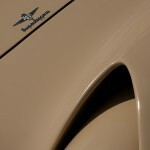 In the past I’ve focused on exterior details, but after a while you need a break from taking another fender shot. As a result, I’ve started spending some more time trying to get some interior shots to go along with the exterior shots. Interiors are harder because the lighting is generally bad, particularly for coupes and sedans. Also, most owners don’t let you climb in the car so you have to find a way to get your camera in a position which will take a nicely composed shot. This image shows a portion a 1938 Mercedes 540K Sport Tourer automobile. This particularl automobile is on display at the Gilmore Car Museum in Hickory Corners, Michigan. If you love cars, the Gilmore Car Museum is a great place to visit. They have a couple hundred classic automobiles on display in various barns located on the premises. This shot shows the back end of a 1959 Buick Electra 225 which was on display at the 2009 Concours d’Elegance held at Meadowbrook Hall in Rochester Hills, Michigan. The Meadowbrook Concours is always a highlight of the summer for me, since I love to photograph classic cars and this show has them in abundance. The Motor Muster at Greenfield Village in Dearborn, Michigan manages to get a great collection of automobiles. Many cars on display are ones that you would see (or would have seen) driving around your neighborhood. However, the show also gets a few cars which are more unique. One example is the Hudson Italia. This car grew out of a need for Hudson to offer a sporty car to compete with other manufacturers. I personally don’t find this particular car attractive when viewed whole, but I love some of the details. This particular shot shows an area just over the passenger side headlight. Looks vaguely like the Star Trek emblem to me! A couple of years ago I saw this car at a different car show and took this shot. This shot of a 1933 Lincoln was taken at the Classic Car Club of America (CCCA) car show held at the Gilmore Car Museum in early June. The cars were displayed around a big oval track and I had already made a pass around to see all the cars. I was walking behind the cars to head over to another spot when I noticed this Lincoln. For some reason, the license plate in conjunction with the other elements of the car really caught my eye. The raw shot out of the camera didn’t convey the strong graphic nature that I had felt when I took the shot, so I used a combination of Topaz Adjust and Topaz Simplify to create a image with a stronger graphical feeling (at least to my eye). 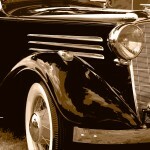 This is a processed digital photograph of a 1934 Vauxhall BX Roadster. The car was part of “The GM Century” auto show held at the Automotive Hall of Fame in Dearborn, Michigan. In the past I had passed this image by because of the background, the reflections on the bumper and other elements that I thought distracted from the car itself. Still, I liked the composition and so today I played around with it a little bit to see if I could get a finished image that I liked. I initially thought of trying to black out the grass and background, but that seemed like too much work. I decided to try my ‘cutout’ technique, combined with a conversion to sepia and I like how it came out. The image above shows the interior of a 1920 Pierce Arrow automobile. The car was one of many on display at an event held at the Gilmore Car Museum in Hickory Corners, Michigan (near Kalamazoo). 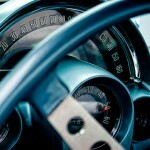 What I find most interesting about this shot is the speedometer. If you look closely, the speedometer is more like an odometer and appears to max out at 75 MPH before returning to 0 again.